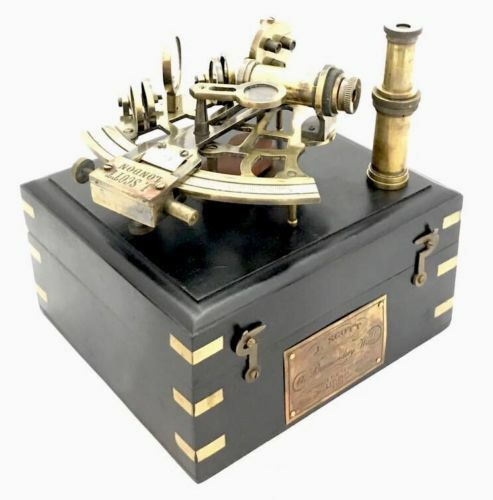 A sextant is an instrument used to measure the angle between any two visible objects. Its primary use is to determine the angle between celestial object and the horizon which is known as the altitude. 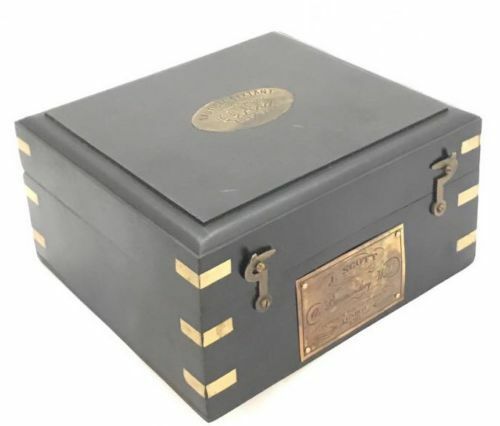 Making this measurement is known as sighting the object, shooting the object, or taking a sight. 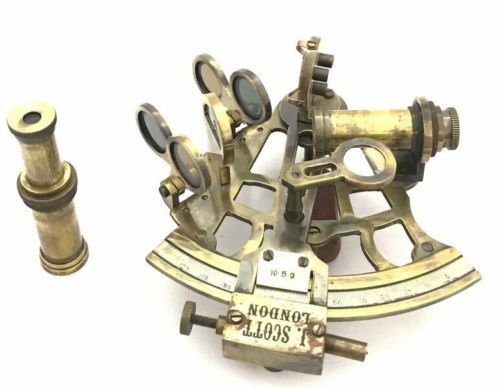 The angle and the time when measured can be used to calculate a position line on a nautical or aeronautical chart. 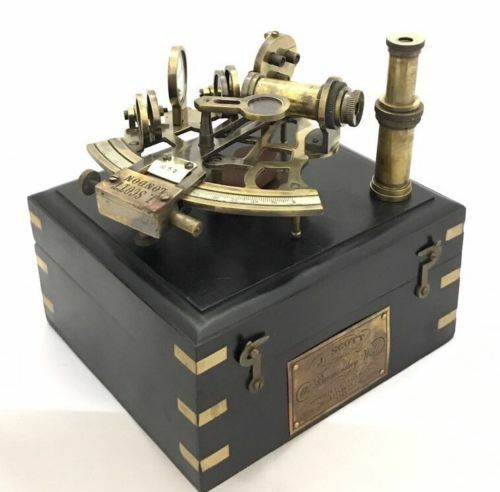 This Is a Solid brass Sextant, all parts are moving and working, can be used for basic observation or suitable for collectors. Delivery via DPD Tracked and Insured courier.